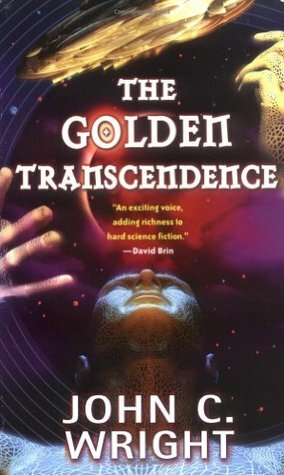 Begun with The Golden Age, continued with The Phoenix Exultant, and now concluding in The Golden Transcendence, The Golden Age trilogy is Grand Space Opera, an SF adventure saga in the tradition of A. E. Van Gogt, Roger Zelazny and Cordwainer Smith. It is an astounding story of super-science, a thrilling wonder story that recaptures the elan of SF's golden age writers in the suspenseful and passionate tale of Phaeton, a lone rebel unhappy in utopia. The end of the Millennium is imminent, when all minds, human, posthuman, cybernetic, sophotechnic, will be temporarily merged into one solar-system-spanning supermind called the Transcendence. This is not only the fulfillment of a thousand years of dreams, it is a day of doom, when the universal mind will pass judgment on the all the races of humanity and transhumanity. The mighty ship Phoenix Exultant is at last in the hands of her master, Phaethon the Exile is at her helm and his dream of starflight in alive once more. He is being hunted by alien agents, the eerie and deadly Lords of the Silent Oecumene, who would steal the Phoenix Exultant and turn it into a weapon. The all-encompassing Mind of the Golden Transcendence is waking. Will it endorse Phaeton's dream or face the first interstellar war?